Wild macaque monkeys have learned to use tools to crack open nuts and even shuck oysters, researchers said Wednesday, identifying a rare skill-set long thought to be the exclusive party trick of humans and chimps. 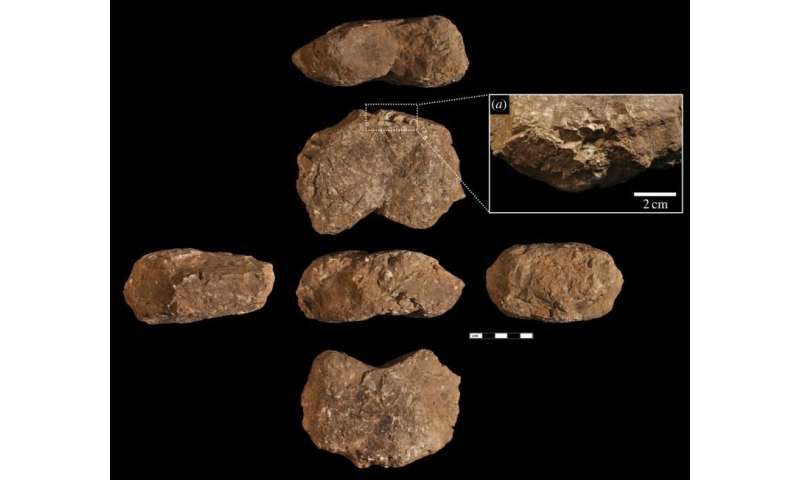 Scientists from Britain and Thailand, where the native long-tailed macaque (Macaca fascicularis) feeds on sea almonds, oil palm nuts and the occasional bivalve, observed the monkeys using stones for two distinct tasks. Larger rocks, some weighing up to two kilogrammes (4.5 pounds), were used as a hammer to smash open nuts, while sharper stones formed knife-like levers to jimmy open prey such as oysters. Before the study, conducted on Thailand's Piak Nam Yai island, it was thought that only chimpanzees and bearded capuchins used stones to break open food in the wild. Professor Tomos Proffitt, British Academy Postdoctoral Fellow at University College London, who wrote the study, said it could have wide relevance to primate studies. "It contributes to our increasing understanding that not only apes and humans use tools for different tasks," he told AFP. "We should view macaques as highly intelligent problem solvers, in the same way that chimpanzees, capuchin monkeys are and early humans were also." Scientists in Brazil in 2016 observed wild-bearded capuchin monkeys hammering away at stones to create rough flakes similar to the tools first used by human forerunners. But one of the macaques' food sources, the oil palm, was only introduced to their island in the past few decades, meaning that the monkeys have learned to use tools to access its fruit for food extremely quickly, evolutionarily speaking. "What we see is that they are adapting this stone tool use to other food sources away from the coast," Proffitt said. "In many cases of primate tool use these behaviours are learnt by youngsters through many years of observation and is not something that is genetically coded into them." The study was published in the journal Royal Society Open Science. "...thought to be the exclusive party trick of humans and chimps." IIRC, Sea-otters do it, too !! Yes, the list of stone-using animals is much longer than 2. Egyptian vultures, Ravens, New Caledonian crows, Sea otters, even wrasse fish. The writer is clearly not well informed on animal tool use.